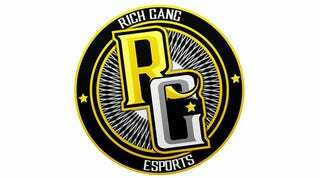 So, this is Rich Gang eThugs. They're an Australian team that competes in League of Legends' Oceanic Pro League. And, in keeping with the spirit of their name, their members just keep on getting suspended. As The Daily Dot reports, they've just received their third suspension from LoL devs Riot in three months, because, well, their players are consistently being reported as some of the most abusive in the game. While one of the three (Sam "Paws" Pourzinal) was actually permanently banned for "ELO boosting", the other two received seven-week suspensions for their poor conduct in matches. The first, Dayshifted, had been reported for "a severe and hateful level of verbal harassment", which included stuff like "sexual harassment and exhortation to commit suicide." The second, Rich Homie Dre, had been reported in 40% of his games over the last fortnight. Which loads of people aren't happy about! There are many in the LoL scene who struggle for the game, and eSports in general, to be taken more seriously. A team like this, who are essentially taking the piss, are to these folks a threat to that progress.